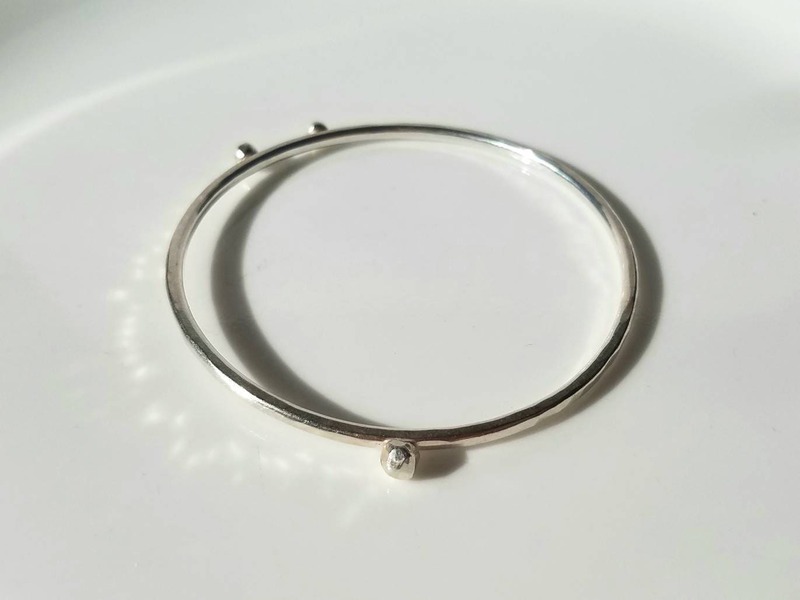 I hand forged this bangle and hammered it to give it the faceted effect. 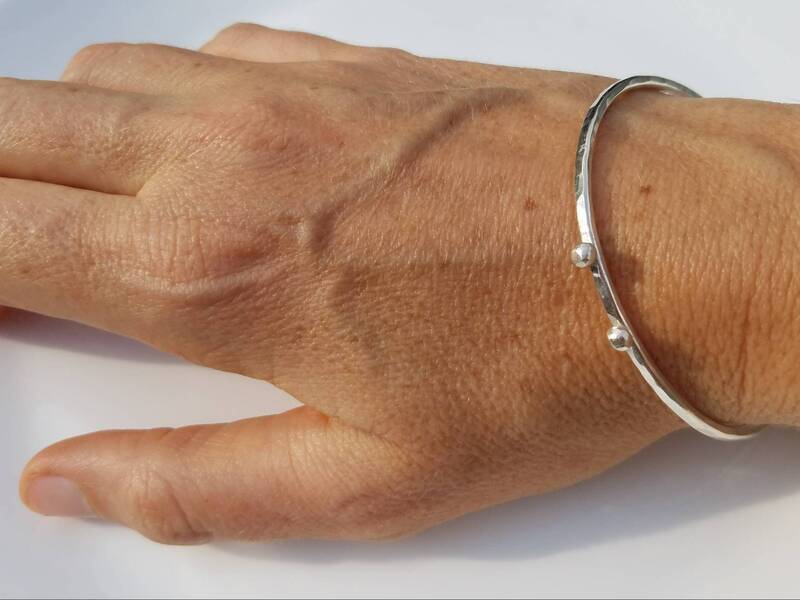 I created the three orbs out of recycled silver and set them on the bangle as if orbiting the wrist. 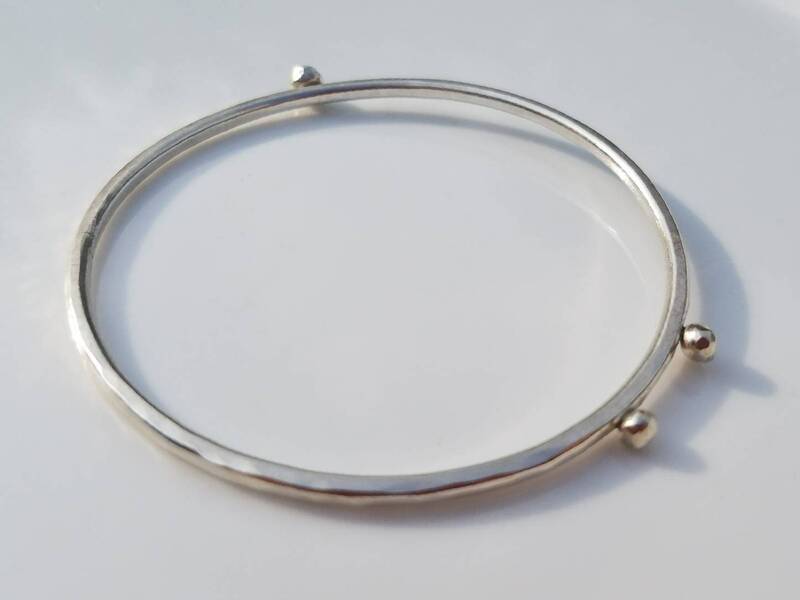 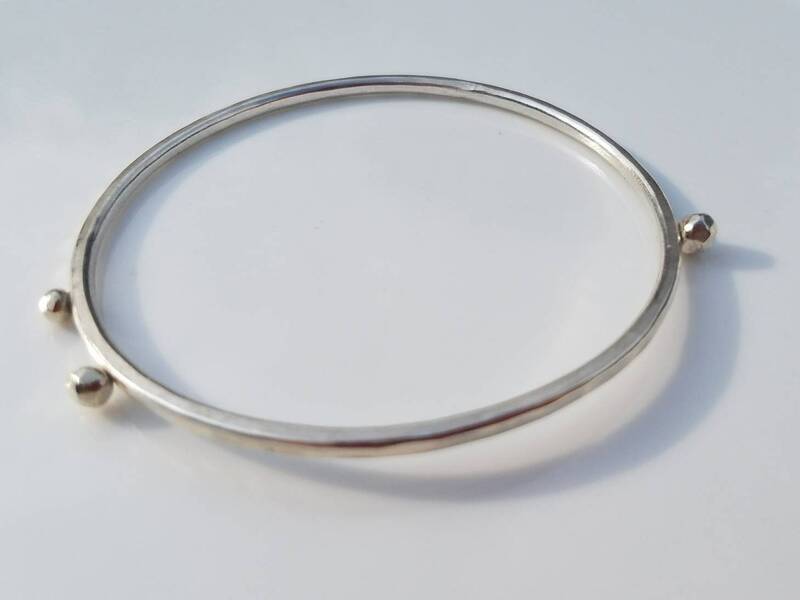 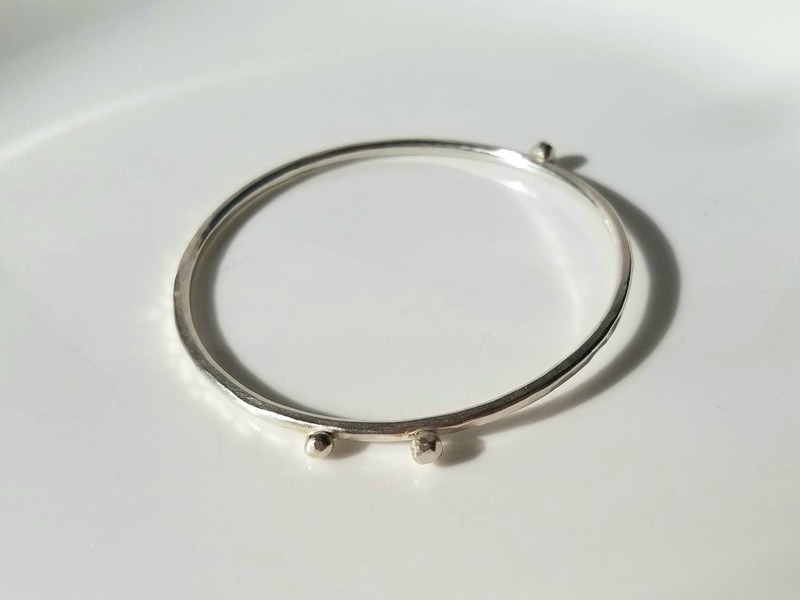 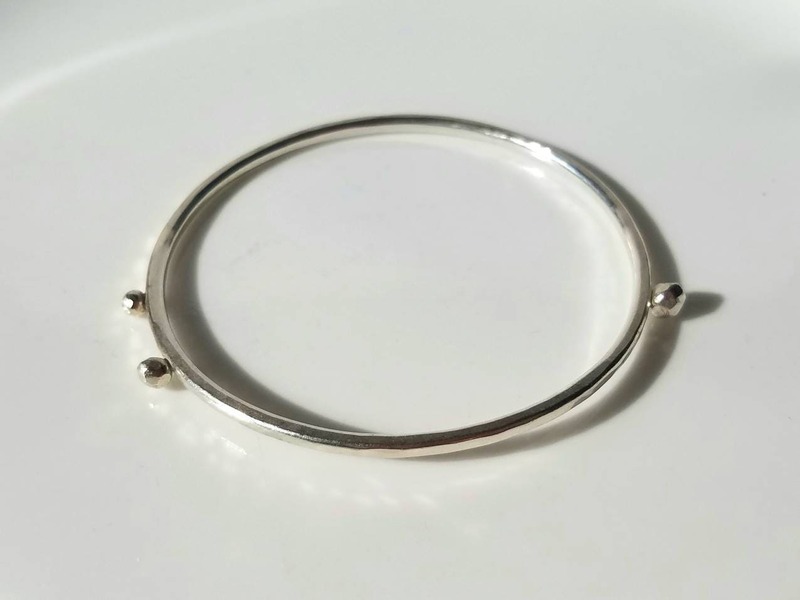 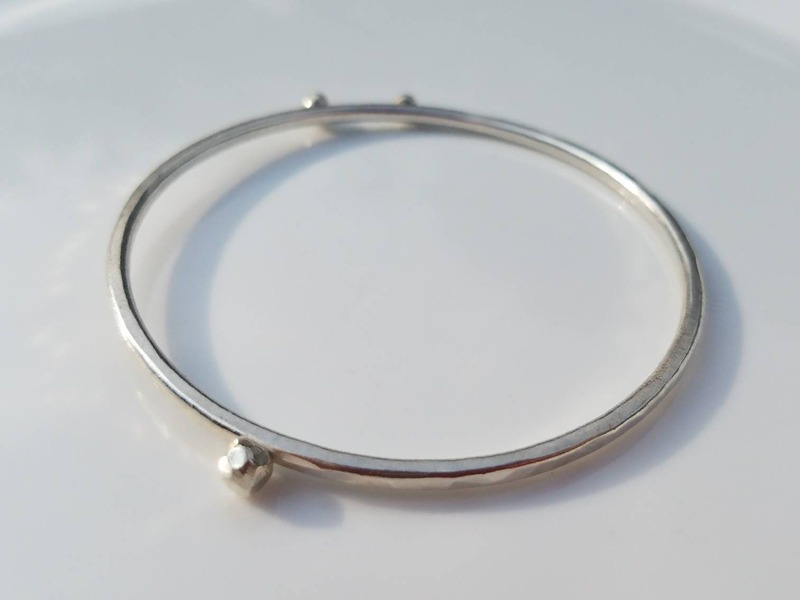 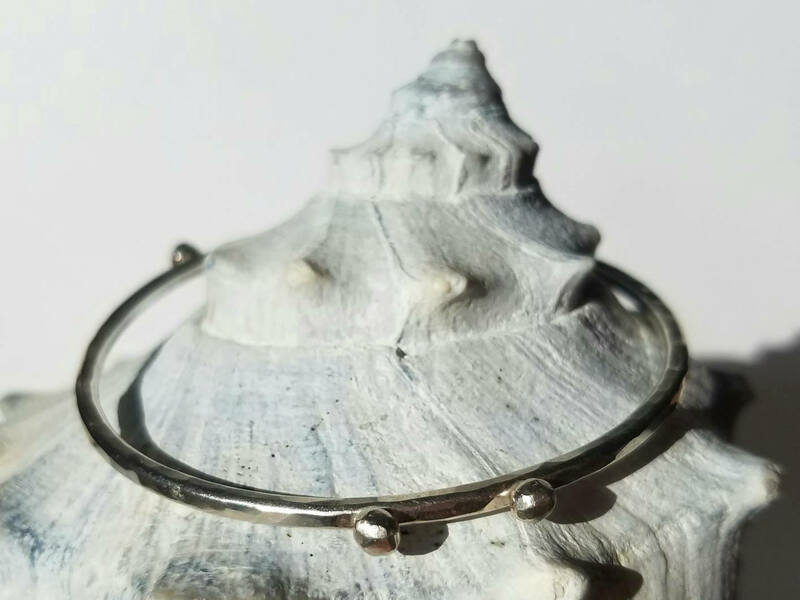 This bracelet is great worn alone or with other bangles.